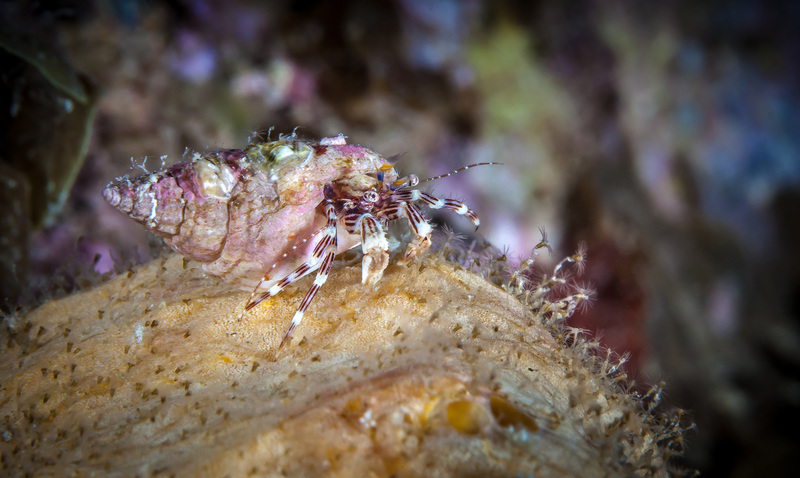 In the past I had described photographing hermit crabs as ‘low hanging fruit’ but this guy was not so easy. Clarrie’s Hermit Crab (Pagurixus handrecki) here under Rapid Bay Jetty is tiny, about the size of my little fingernail and was marching furiously around the top of its own private little hill. Despite the diminutive size it looked so busy and so full of pride that I nearly missed the moment when it reached the top before starting back down the other side.